This year BGU was awarded over £2.6 million of European funding for two major projects to support entrepreneurship and innovation with businesses and social enterprises in Greater Lincolnshire. The award, from the European Structural and Investment Funds (ESIF), is the biggest business and research investment ever secured by BGU. It reflects the university’s strategy to increase its positive support for the development of businesses, communities and the economy of Greater Lincolnshire. BGU has purchased St. Hugh’s on Newport, an iconic Grade II listed building, to provide a new home for the projects. The building is on the site of an Augustinian Friary and has been used as offices for many years. • BGU Business Inspiration, which has a total value of £878k (ESIF contribution £527k). The two projects will run until spring 2019 and spring 2020 respectively, and will provide support for over 130 small to medium-sized businesses (SMEs) and social enterprises and will create eight jobs. 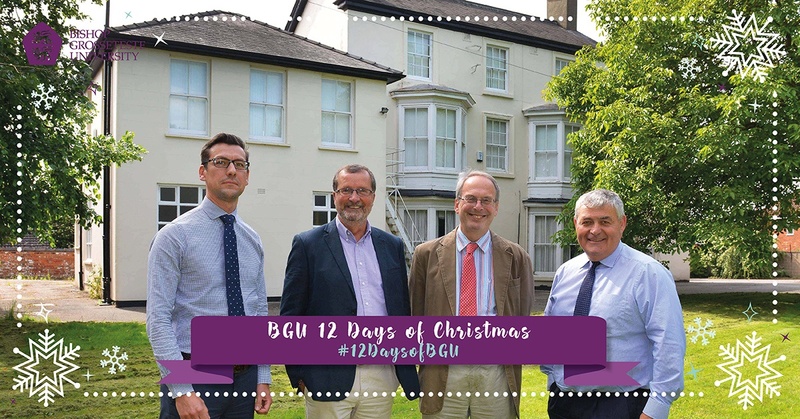 Mark Bowen, Enterprise Development Manager at BGU, said: “The LORIC project will provide support to businesses, public and third-sector organisations across Greater Lincolnshire and position the university at the leading edge in the use of open data to support innovation. Find out more about Business at BGU. This summer Bishop Grosseteste University (BGU) sponsored a knight as part of Lincoln’s Knights’ Trail. In June Bishop Grosseteste University (BGU) was rated Gold in the first ever Teaching Excellence Framework (TEF).